Unfortunately these GWR 5700 Class 0‑6‑0PT’s have not been identified, but both would have been among the last former GWR locomotives to see service on BR (London Midland Region). 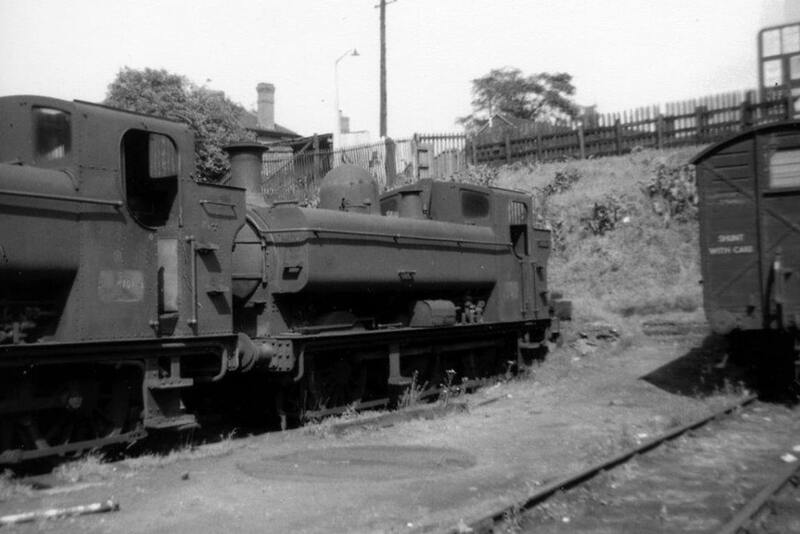 Note that the leading engine is minus a front buffer – photo taken between 3.67‑5.67. 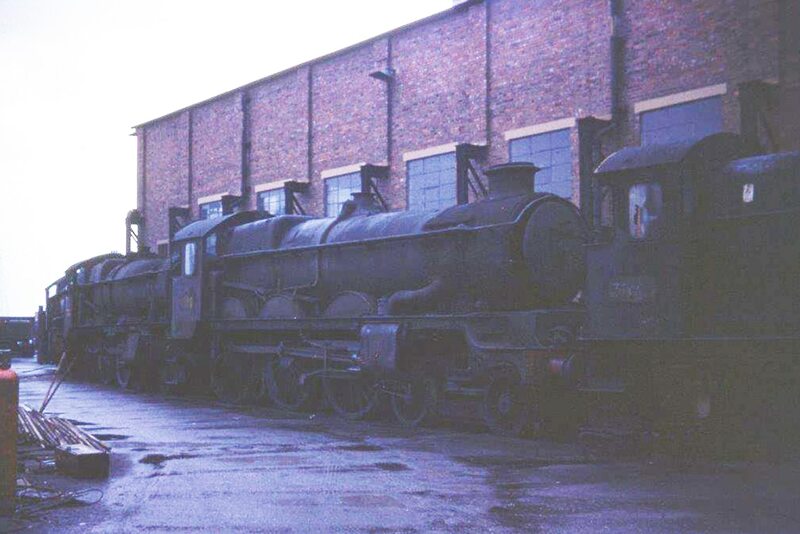 Its days of employment as a stationary boiler (after withdrawal) at 2A Tyseley are now in the past for GWR 5100 Class 2‑6‑2T No. 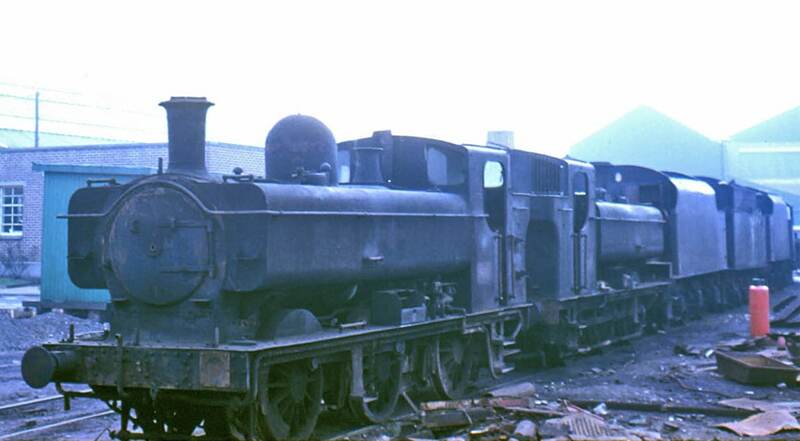 4176 as it and LMS Class 5 4‑6‑0 No. 44714, overshadowed by the huge gantries and control tower, await the cutter’s torch around 5.67. 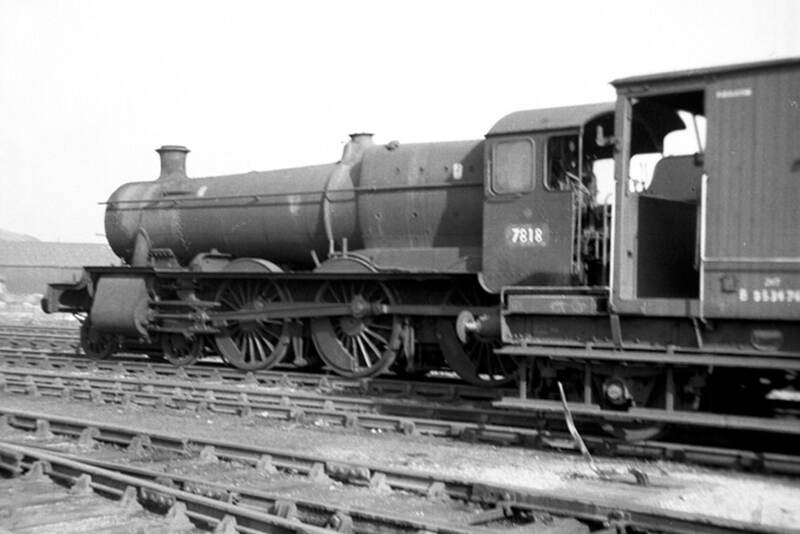 GWR Castle Class 4‑6‑0 No. 7033 Hartlebury Castle (81A Old Oak Common) in the store line at 89B Croes Newydd on 23rd December 1962 after a main line failure. Hartlebury Castle, officially withdrawn on 7th January 1963, spent many months in store at Croes Newydd and 89D Oswestry before being sold to Cashmore’s, Great Bridge. 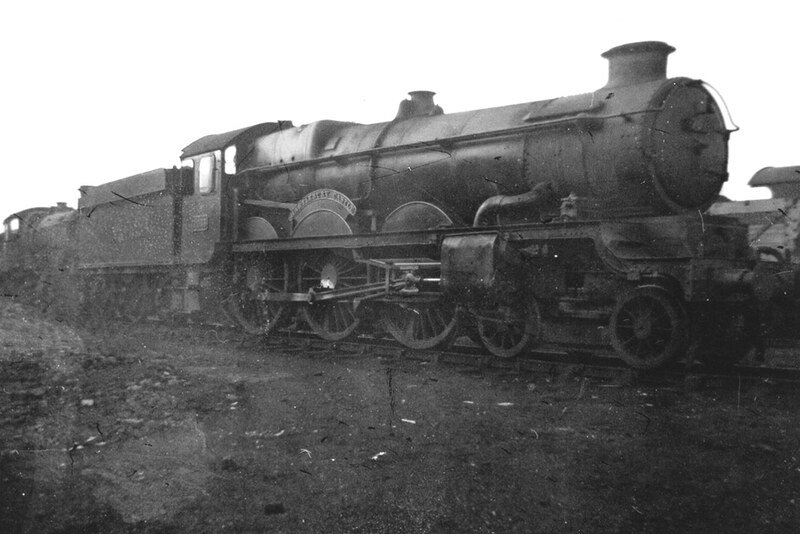 GWR Castle Class 4‑6‑0 No. 5025 Chirk Castle and GWR Hall Class 4‑6‑0 No. 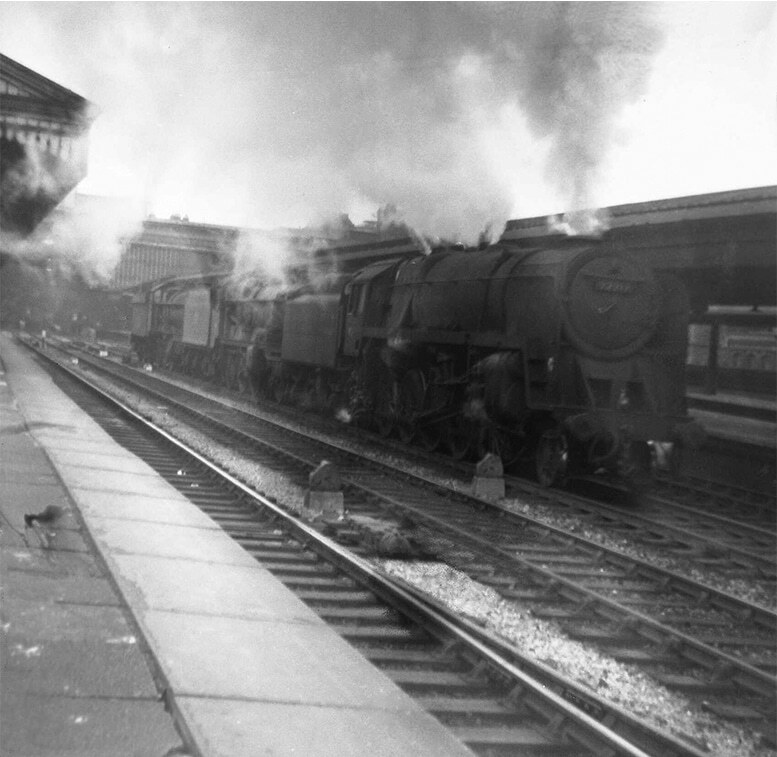 4966 Shakenhurst Hall pass through Birmingham (Snow Hill) as ‘dead engines’ being towed towards Wednesbury and ultimately, Cashmore’s, on 25th April 1964, by BR Class 9F 2‑10‑0 No. 92217 (2A Tyseley). Of this batch of eighteen locomotives, five, Nos. 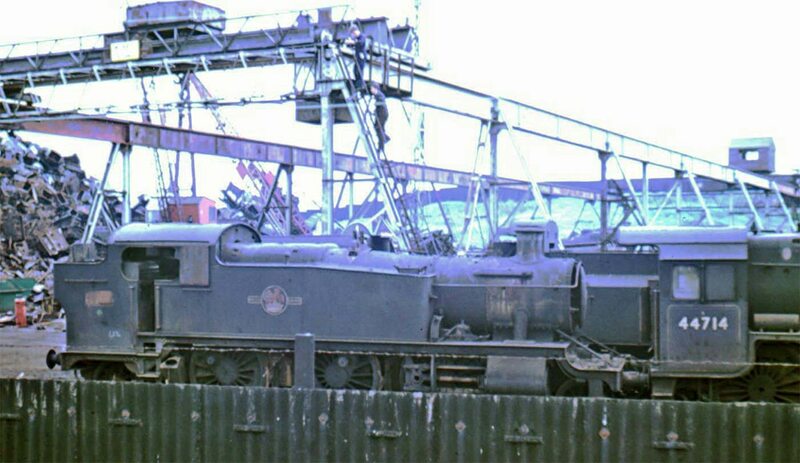 2234, 3732, 4625, 4641 & 5183 are proven to having been disposed of at Cashmore’s, Great Bridge. 4098, 4114, 4140, 4905, 4966, 5025, 5041, 5369, 5937, 5970, 6317, 6320 & 9704. Of this second batch, a total of thirteen, eight, Nos. 4098, 4114, 4905, 4966, 5025, 5041, 6317 & 9704 are proven to having been disposed of at Cashmore’s, Great Bridge with a question mark against 4140.